Choose from over 80 classic, creative and professionally designed filters, drag-and-drop to apply them directly to your video clips. Create spectacular professional-looking home videos with multi-track timeline, overlay footage, PIP objects, green screen effects, and many many advanced editing features, cause we know, your creativity has no limit! Instantly upload your video clips to Facebook, Vimeo and YouTube. Convert or burn your videos to DVDs and give them away as the most memorable gifts. 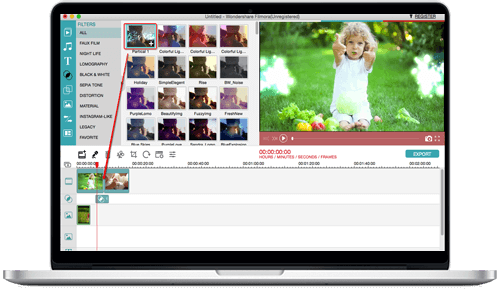 Optimize video clips for perfect compatibility with your iOS and Android devices. 1. Add New Storyboard mode for easier movie making! 7. Improved overall NLE performace.